An island in the Indian Ocean with the size of West Virginia, Sri Lanka is a place of different cultures, languages and ethnicities. There is a lot to see in the country, which has been attracting tourists interested in its wild life diversity, tea plantations and its long coastline, which remains relatively untouched by man. Sri Lanka has a wild beauty and a very recent troubled past. After declaring independence in 1948, it went through a civil war that lasted almost 30 years and only ended in 2009. During the civil war, the island was hit by a tsunami that caused thousands of casualties. Now the country is on its way towards peace and prosperity, with tourism growing more and more. In 2009, at the end of the civil war, Sri Lanka received less than 500 thousand tourists and currently it receives more than 2 million per year. If you want to be a part of this number, here is a compilation of what you will find in the country. The historical city of Galle is located in the south of Sri Lanka and it is a Unesco World Heritage Site. 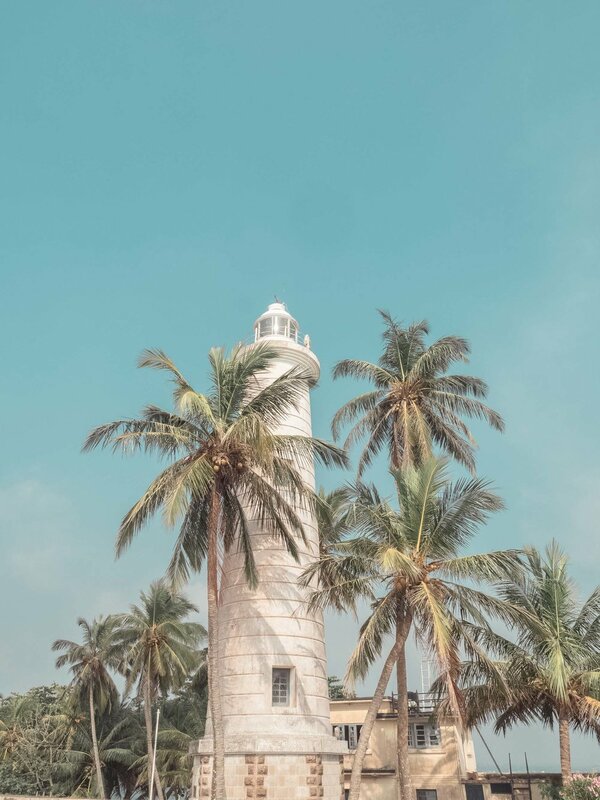 The place has a strong colonial legacy, which includes the Galle Fort - it was constructed by the Portuguese in 1589, and the best way to get to know it is to wander through its streets, and getting to know its cafés, restaurants, stores and galleries. After you are tired of wandering through the streets of the fort, you can stop at the wall to catch the picturesque sunset, in a perfect way to finish the day. Unawatuna and Mirissa are two dazzling beaches, with a raw beauty and filled with palm trees, some of them full of king coconut, a type of coconut that is native of Sri Lanka. In Mirissa you can find whale watching tours from December to April. While in Unawatuna you can find sea turtle hatcheries and help put them back in the ocean. Part of Sri Lanka’s Cultural Triangle, Kandy is the cultural capital of the country. The city is the last capital of the Sri Lanka’s kings and nowadays it is a World Heritage Site. Kandy is home to the Tooth Relic Temple, a place that attracts visitors and pilgrims from the whole world. The Temple is the most sacred place of Buddhist worship in Sri Lanka, and it houses Sri Lanka’s most important Buddhist relic: the Buddha’s tooth. History tells us that the tooth arrived in Sri Lanka after Buddha died and was cremated in India. His remains were divided into 8 parts and given to 8 kingdoms, Sri Lanka being one of them. The tooth stayed in some places, but was transferred to Kandy in 1592, where it remains until today. 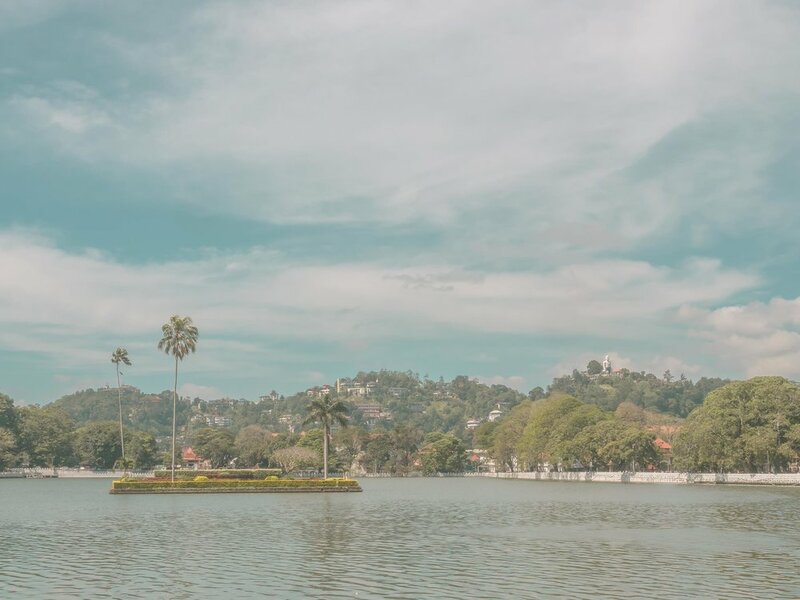 In front of the Tooth Relic Temple, you will see the Kandy Lake, where it is possible to stroll around and see the life of the city, seeing people coming and going from the Temple. Another place to be visited is the Bahiravokanda Vihara Buddha Statue, with its more than 80 feet height that allows you to see it from almost every place in Kandy, and also offers a panoramic view of the city. In the mountains, cool temperatures, tea plantations and trip back in time is waiting for you. Sri Lanka is one of the biggest tea exporters of the world, always in the top 5. While visiting the country, you can stop by one of the many tea plantations and even help collecting the tea leaves. The most famous place to visit the tea plantations is Nuwara Eliya. If you are in Kandy, you can go there by train, in one of the most scenic routes of the world. To stay in the area, you can choose one of the hotels from the colonial time and be transported a bit back to the past. Near Nuwara Eliya is Ella, for the ones into hiking and waterfalls. The main attractions are Ella Rock, which will give you epic views after an approximately 4 hour hike; Little Adam’s Peak, a quick and easier walk; and Ravanna Falls, that has a special charm after a few days of rain. The Koggala Lake is a hideaway in nature. Go there if you want a bit of silence and peace to relax. Going on a boat tour around the lake, you can visit the Cinnamon Island and visit a cinnamon farmer. There you will learn about the cinnamon farming and the process to get the final product we find in the grocery, from the extraction to the grinding. If you want to know more about where to stay in the Koggala Lake, read here. You will probably arrive through the international airport of Sri Lanka, which is located in Colombo, the capital of the country. The city is a metropolis and, like many others around the world, it has a heavy traffic and a fast-paced life. If you have some time in the city, you can visit Colombo’s big promenade along the Indian Ocean called Galle Face Green. It is a great place to stroll, if the heat does not bother you, and to watch the sunset. Also in the capital is the Bhuddist temple, Seema Malaka, a meditation place in the middle of Beira Lake. The original temple sunk in the water in the 70’s, but the reconstruction is worth a visit. 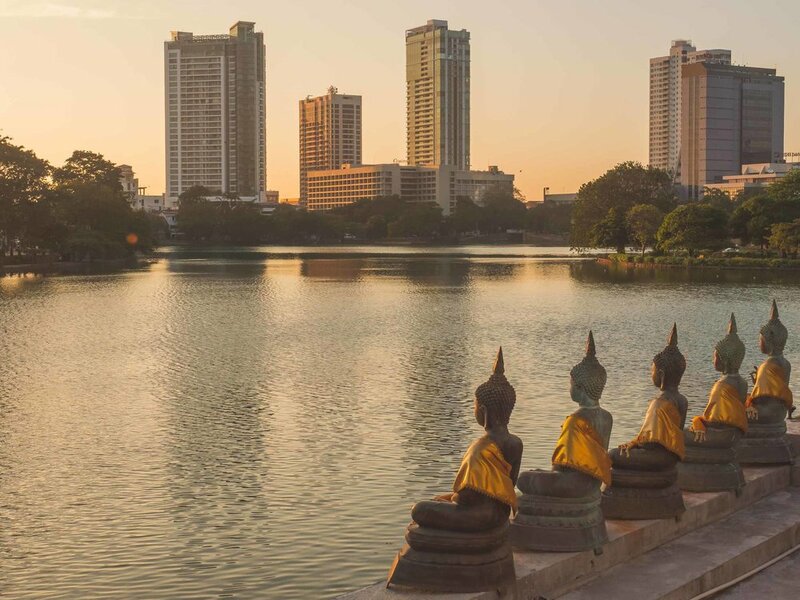 Beyond this, the capital of city Sri Lanka offers other options, such as the many mosques, including the Red Mosque. And the local cuisine? Rice, curry and sambal are omnipresent in every meal. The food is spicy and very delicious, but Western and vegetarian options can also be found in Sri Lanka. What else does Sri Lanka offer? If you want to get more in touch with nature, don’t miss the opportunity to visit the national parks Uda Walawe and Yala West, to see leopards and elephants. Visa: Most nationalities need a visa to enter in Sri Lanka, and it can be obtained here. Currency: Sri Lanka Rupee (LKR). Make sure you always carry cash, as some places do not accept credit cards. Language: Sinhalese and Tamil are the official national languages, but many people can speak English. Getting around: Short distances can be covered by bus or tuk tuk, while the bigger ones need a train, bus or car ride. Who wants to visit Sri Lanka? I hope you have enjoyed and see you.